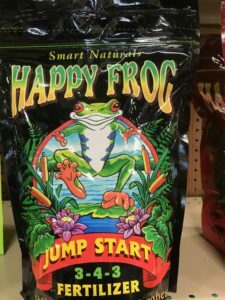 Find Happy Frog Garden Soils at Argyle Feed. Your potted plants deserve the best. Their roots can’t seek out nutrients in the ground, so you have to bring it to them. That’s why Happy Frog® Potting Soil is alive with beneficial microbes and fungi that help break down organic matter and feed the plant roots. 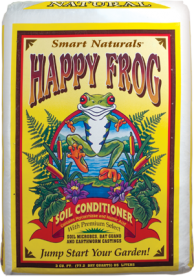 Happy Frog® Potting Soil is perfect for container gardens. Whether you’re growing a ficus in the dining room, a geranium on the patio, or a lemon tree on the deck, use our Potting Soil full strength in your containers. 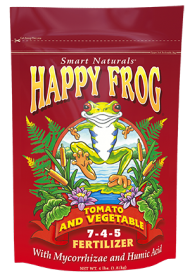 For a spectacular harvest, add our Happy Frog® Fruit & Flower Fertilizer. Then sit back and enjoy the results. 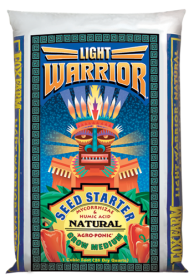 Light Warrior® is the perfect fast-draining, lightweight seed germinator for your indoor jungle. This entry was posted on Wednesday, March 13th, 2019 at 10:15 pm	and is filed under Garden, News & Updates. You can follow any responses to this entry through the RSS 2.0 feed. Both comments and pings are currently closed.